As Colombia’s capital and largest city, Bogotá has significant local government capacity. However, because of limited experience with implementing efficiency policies, the city lacks technical expertise to implement a new national building energy regulation or otherwise encourage more efficient construction. 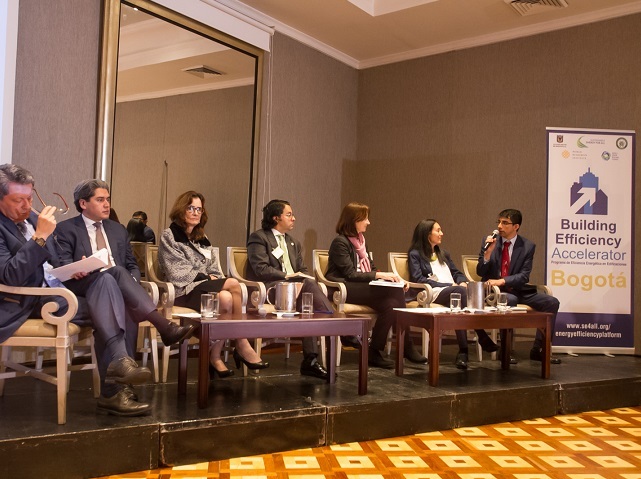 Bogotá is working with local stakeholders and the global Building Efficiency Accelerator (BEA) partnership to develop and implement locally-relevant efficiency actions. To understand more about driving action on efficiency in Bogotá, WRI’s Eric Mackres talked with two local change agents: Cristina Gamboa is CEO of Consejo Colombiano de Construcción Sostenible (CCCS, the Colombia Green Building Council) and Vice-chair of World Green Building Council. 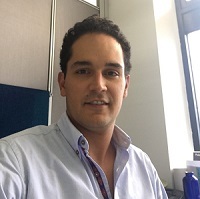 Juan Camilo González is Manager of the North City Project for the Mayor’s Office and Advisor to Bogotá’s Mayor Enrique Peñalosa. The interview has been edited for length and clarity. Eric: Why do you work on building efficiency? What opportunities or benefits do you see for economic, environmental or social impacts in Bogotá from taking action to improve building efficiency? 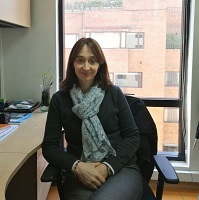 Cristina: I got involved in the sustainable building industry in August 2009. We saw advocating for sustainability in the built environment as a key feature to combat climate change. As a developing country, there is a lot of opportunity to lock in efficiency early on. What motivated me was changing people’s mindsets and doing business in a sector like the construction industry in a different way: to continue bringing profitability to businesses but also facilitating strong social impact and environmental protection. Two years ago, with WRI’s Jennifer Layke, we were dreaming of a project like the BEA that drives different actors forward and makes the private sector more conscious of decisions they make. CCCS has created a dynamic and profitable green building sector, and we want to further impact the affordable housing industry. Through these efforts, we want to focus on health and wellbeing—not only the business case. Juan Camilo: Buildings account for a large percentage of global energy and water consumption, over a third for energy and a quarter for water, so there is a lot we can do to improve our cities. As we build our homes and commercial buildings better, we will be able to help our citizens, especially low-income citizens, save valuable resources and money. One big opportunity we see for Bogotá is that because it’s located 2,644 meters (8,675 feet) above sea level, we don’t require air conditioning or heating, and gravity delivers our water from higher elevation with little energy. Therefore, our energy use is lower than most cities. If you are able to take advantage of that and become more efficient in other areas, it will be easy to become a zero emission city, one of our goals for new development. What are the main challenges you see for achieving efficient buildings in Bogotá? The first is creating realistic norms. In Colombia, when talking about environmental laws, in many cases, the best possible scenario is adopting a legal norm. Often this norm is not feasible, and therefore no one complies. As a result, we don’t get the dream we wanted nor do we get what could have happened if norms had been designed to be feasible. The second challenge is ensuring that adequately-designed norms are actually applied. Urban control is hard. We have issues with buildings that are built where they shouldn’t be. Imagine additionally trying to control for buildings to be built in a sustainable way. That’s even harder to control. The third challenge is creating the right incentives. Beyond what’s mandatory, we need the right incentives: financial and cultural incentives, in terms of the real estate market, so that stakeholders start applying norms not because they have to, but because they want to. Those are the three main challenges. Cristina: I would put the same issues in a different way. For a market to change and increase levels of sustainability in a city, particularly in the built environment, there has to be a mix of “push” and “pull” factors. The “push” is that there must be norms and urban control incentives. The “pull” is that there has to be a change in the mindset of people in the construction industry. By this, I mean that delivering sustainable buildings and green infrastructure in the short-term may be difficult because it’s not the way that business has been done for many years. However, seeing the opportunity of delivering value, while also having return on investment, can shift that mindset. How did the city begin taking steps to improve energy efficiency in buildings? How did the leadership, vision and momentum emerge? Who were the critical players involved? What roles did they play? Juan Camilo: It starts with the culture of the population. Bogotá’s population is starting to care about the environment; that is a big step. When everyone starts rallying around a common cause, and its proponents aren’t solely leadership, it helps the leaders and stakeholders do things better. Mayor of Bogotá Enrique Peñalosa believes that we have to be as efficient as we can and occupy well-designed and built space, instead of growing unplanned, which results in many inefficiencies. What we have today is a national regulation that is not currently applicable because it still has some definitions that aren’t well-understood. We are now working with CCCS, WRI and the BEA to develop an energy efficiency initiative in Bogotá, make existing norms more applicable to Bogotá and apply them. Cristina: There is total commitment from Mayor Peñalosa, and these programs reflect what citizens want to see in the medium and long term. In 2030, when we look back and see the growth of the population and built environment, we are going to be proud that we planted the seed of energy efficiency early on, in this decade. Bogotá is looking at cities as main places to combat climate change and deliver a high quality of life as we look forward. 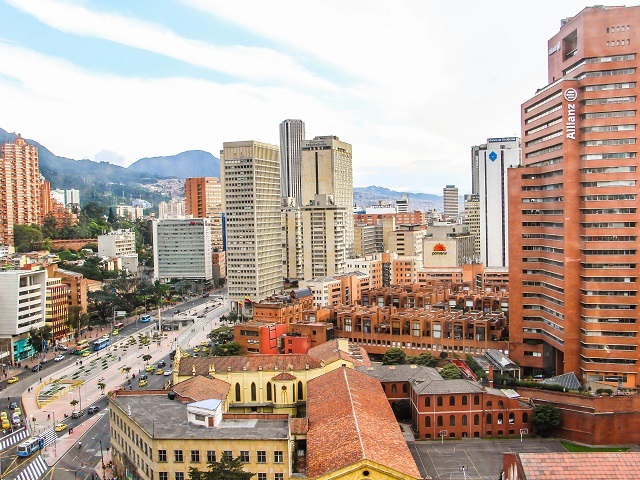 What kinds of actions is Bogotá taking or will be taking to improve building efficiency? Why were these actions selected? Cristina: As Juan Camilo noted, one of the key things that Bogotá wants to work on is effective implementation of a national norm that mandates energy efficiency and water savings in new buildings. Through the BEA, we will work to deliver a policy that is adapted to the city’s needs and its climate and technical capacities. We need a tracking and data system to understand what the policy will do for curbing greenhouse gas emissions. We need to know how Bogotá fits into Colombia’s commitments for the Paris Agreement and the national goals of low-carbon growth. Additionally, we want to have a demonstration project that will begin construction within one year. The idea of working through a project in the Plan Parcial Triangulo de Fenicia (a district redevelopment plan associated with the Universidad de los Andes) is to deliver, through the context of urban development, lessons learned for larger-scale development and replication in other parts of the city. Through these programs, the administration can showcase to other cities the way forward in delivering green change in urban spaces. What role has stakeholder and private sector collaboration—through the Building Efficiency Accelerator partnership or otherwise—played in supporting the city to take action and achieve its goals? What are some examples? Juan Camilo: To develop an effective norm, you need to work together with those that have technical expertise. Here, in the Secretary of Planning’s office, we don’t have the technical expertise or experience to know if what we are designing will work. Therefore, it’s key for the success of the norm that we involve stakeholders and the private sector in designing and controlling the norm–we cannot do that by ourselves. For example, Bogotá’s eco-urbanism norm has specifications for rainwater that are so demanding that the water company isn’t able to properly apply them. If the Secretary of Planning and the water company collaborated in designing this norm, however, the city could have saved gallons and gallons of water. But because there was no collaboration, it didn’t work. Today, we are seeing that partners know a lot of things that we don’t. By bridging the knowledge gap, collaboration is helping us anticipate mistakes that we would make if we designed the norms by ourselves. Cristina: The key word is leadership, and this kind of leadership is about partnership. Having these discussions early on, before policies are adopted, and having cross-sector dialogue and collaboration is key. The built environment is very complex, and its governance is shaped by diverse actors. The BEA partnership works across these conversations in an efficient and productive way. It also gives many organizations the opportunity to have their voices heard and incorporate technical problem solving, thus avoiding mistakes and doing things right from the beginning. What tools and mechanisms have you used to communicate with and engage stakeholders? Juan Camilo: We started with a workshop where we invited different sectors: developers, experts, etc., and we heard what they had to say. There was a survey that WRI provided to understand what each stakeholder thought about the main issues, challenges and opportunities. Now, we are working with specific groups—a group for designing the norm, a technical group and one for the pilot project—that each involve people from the public and private sectors with technical expertise. We make sure they participate throughout the whole process. Cristina: In addition to the workshop, survey, project management system and one-on-one conversation, having the backing and credibility of the Mayor and the Secretary of Planning has enabled this project to have the traction it needs to create effective conversations. We are building upon current knowledge and doing away with any gaps, thanks in part to the international partnership. This type of hands-on conversation and work is what keeps the city interested because it’s delivering results and not just a diagnosis. This is different from earlier projects that started but didn’t have the resources to make an impact through policies, projects and mechanisms to enable long-term change.